Being arrested for a first DUI can be extremely traumatic for anyone. It will be the last thing you think about before you fall asleep, and the first thing you think about when you wake up. I always tell my clients, “let ME worry about it. That is why you hired me.” If this is your first offense, and you have been charged with a misdemeanor, you do NOT have to appear in court if you hire me. I will appear on your behalf. I will not request your personal appearance at the courthouse until you and I have carefully explored all our options prior to reaching a plea deal with the prosecutor. In some cases, you may not have to appear in court at all. Ignition Interlock Device (IID) as required by DMV. Usually, there will not be any jail time requested. However, it is never in your best interest to accept the initial offer without your attorney reviewing the evidence and requesting additional evidence from the prosecutor if necessary. By carefully reviewing all the evidence, it is possible that a reduction may be warranted in your case. Note: every case is different and there are no guarantees. 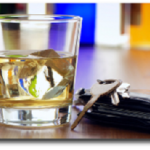 There are also DMV penalties that are associated with your first DUI that are separate from court penalties. This includes a suspension of your driving privileges by the DMV. My services include representing you at the Administrative Per Se hearing at no extra charge. There is a time limit to request an APS hearing, so please contact my office as soon as possible.